I'm still trying to pinpoint the source of that little tributary stream that seems to run up towards the black bank and Eastern Walk. So your looking for a steam that seems to run up! Are you feeling OK Dave? I'm getting a bit worried. Hey hang on, I'm supposed to be a chemist. I'm sure I would be in a lot of professional trouble if I did something like that. I'm sure the "big boys" would favour me putting some radioactive tracer isotope in it instead and you following it downstream with a Geiger counter. Or alternatively counting mutated residents along its path. What I meant to say Steve, as I am sure you knew, is that I am trying to follow the stream back to its source, and that involves following it back against its direction of flow. The water flows down the hill and I have to walk up the hill to find out where its all coming from. Again mercury is a very dangerous and risky substance to let loose in the environment, - not for me! Did that hat cost you 10 shillings and sixpence? Did you wear it to a tea party? A timely reminder given the current weather. When Arbouthorne pond is frozen over with ice do NOT attempt to walk or skate on it! In the past a number of incidents of kids playing on the ice and falling in have been known to happen, fortunately without serious injury. With the very cold weather this year Arbourthorne pond DID freeze over. Fortunately no one silly enough to risk trying to walk across to that island in the middle and no accidents. Queens Road at Sheaf Gardens, near the Queens Road WMC. The outlet (upstream) with the hinged flap is probably a storm sewer outfall. So if I was right about the location it looks like we have traced the Jervis Lum stream all the way from its sourse at the top of East Bank Hill all the way to its confluence with the sheaf. Whats more, for most of its length it his hidden from view underground. It is only down the western side of Norfolk Park (the area known as Jervis Lum) that it runs as a true stream. 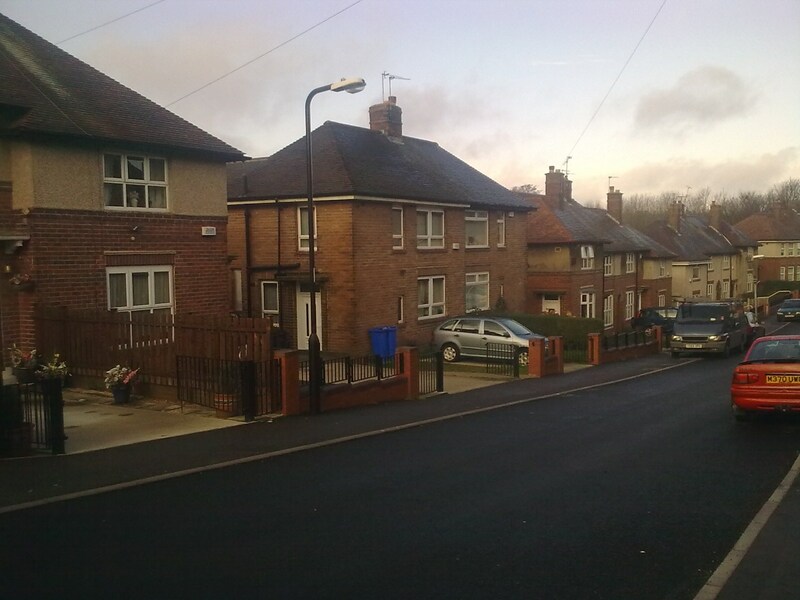 Some of the houses on Paddock Crescent and the Berners do not have the same style and appearance as the typical Arbourthorne 1930's Sheffield council house. Are these buildings, due to their location, in any way connected with the farm in question. The location is as good as a guesstimate would give. No there is more to it than just the window layout, the house itself looks "different"
I am quite familiar with the house window layouts shown in your extended post, in fact one of them (the one closeset to your old maisonette) is the house where Gary Cade used to live and is almost opposite my mums house. Hi all, resurrecting this thread...! 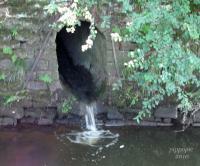 I'm currently working on some research which involves looking at Sheffield's "lost rivers", and streams, springs etc. Some like this one still flow open for part of their course, which means the route is just about traceable with a bit of historical knowledge and detective work. Some have been completely wiped off the map, and I think I've managed to map out most. Your local knowledge such as former ponds, springs and boggy ground in this area have certainly helped to validate the route I've mapped out. Welcome to Sheffield History and thank you for posting. I am glad the information in this topic has been useful to you in your research into lost streams. I am sure at some point in this topic I have suggested that we should try to trace the underground water courses ourselves as following the route of the Jervis Lum, with my camera, with the purpose of posting it on here, was something I quite enjoyed doing. It looks like you could have some quite valuable and interesting posts to add. I look forward to seeing the results of your research when you post it. Thanks, and yes, any information you can get on the routes of the streams would be very helpful to verify some of the locations of streams I've worked out. I have released a draft of the "Lost Rivers, Streams, Brooks and Springs of Sheffield". You can view it at www.facebook.com/DaylightingUrbanRivers as an image, or download the files to load into Google Earth to explore better. You should find all the main watercourses such as Sheaf and Porter, traced with their routes even through the extensively culverted sections. 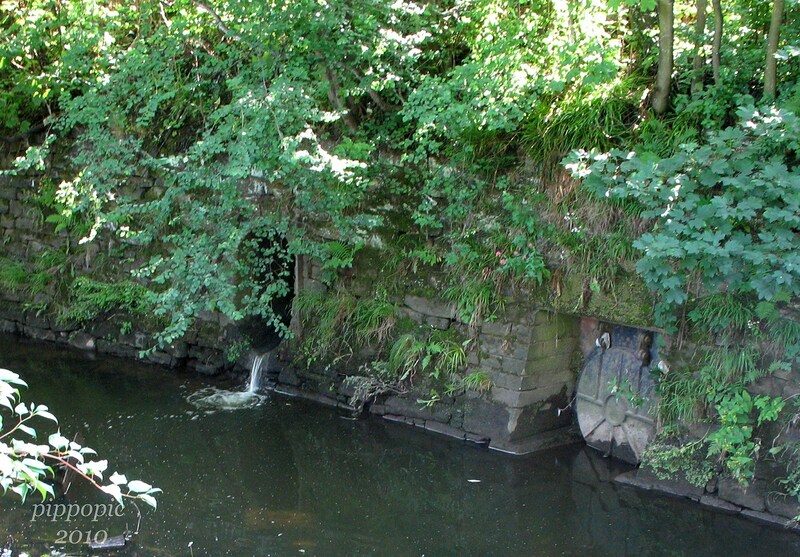 You'll also find the smaller streams and spring-fed rivulets that once scattered the Sheffield area, which may no longer flow to the rivers today, but instead may have been captured into the sewer system (the other subject of my research). Please note, that some of the shown locations are highly certain, some are nearer to "best guesses" from the available limited information. The methods/data used to compile this "Lost Rivers" map are: modern maps, historical maps, historical accounts, topographic flow path modelling, local information such as from yourselves and sourced via threads at Sheffield Forum etc. I would appreciate feedback on any suggestions/corrections you can make, and am happy to discuss the evidence I found for certain shown streams. I don't use Facebook, could you possibly post it here too. The Facebook link to the "Lost rivers of Sheffield" map will be publicly accessible for all - you don't need to log in or have a Facebook account to view it or download the Google Earth data. Particularly interesting for me, as I knew nothing about it until seeing the map, is the other stream to the east of the Jervis which seems to start at the bottom of Spring Lane (how appropriate a name), run down what is now St. Aidens Road past what was "the smouldering tip", past the old quarry where the Captive Queen pub is (now a church) then down through Norfolk Park itself before eventually veering northwest and meeting the Jervis stream before it reaches town and enters the Sheaf. There are no visible signs of this stream along its entire path, so unlike the Jervis itself it would be difficult to locate from land surface clues. The starting point is on Spring lane, and appears to be in the very bottom corner of Norfolk School field. When I attended Norfolk this part of the field was not used for sports. It sometimes became muddy and a bit boggy and the grass on it was always longer and more lush than the rest of the field. I suppose I know why now. When I'm back in the office I will have a look at the evidence I found for that branch of the Jervis Lum, which may help shed more light on it. It could have been in the historic maps, or I may have inferred it from curvy field boundaries or something else. The info about the soggy fields and other local knowledge like this from yourself and others here, on Sheffield Forum and others is really useful in confirming or questioning the results. All info is appreciated! In this case I've noticed how commonly playing fields have levelled out the landscape and drained boggy ground or springs, or culverted streams. Presumably making use ("improving") land historically unsuitable for building or agriculture. Norfolk school was at the top of the hill and the field at the bottom. The field itself was very level but was separated from the school buildings by a steep grass embankment perhaps 6 t0 12 feet high (depending on location) all the way round with a concrete staircases built into it. This seems to indicate the type of landscaping you mention. I've had a look at that eastern Jervis Lum tributary - in summary, that marked route is an uncertain guesstimate from the available limited data. The historic maps definitely show a spring in the now school playing field, but it is much less certain in this case whether it formed a stream path and, if so, which route it took. I based the route purely on connecting the spring downhill along the natural valley bottom. How "natural" that valley bottom is is uncertain! The landscape has certainly been drastically altered by past quarries in the area and subsequently with the roads, trams and housing, which will have levelled out the contours. I found no historic streams along there, though, nor curvy field boundaries as with the Jervis Lum's source. Certainly, your knowledge to verify the presence of the spring water at that point is very helpful. It is possible that the waters would have drained and infiltrated back into the fields below before the area was ever developed, without ever forming a particular stream or valley. 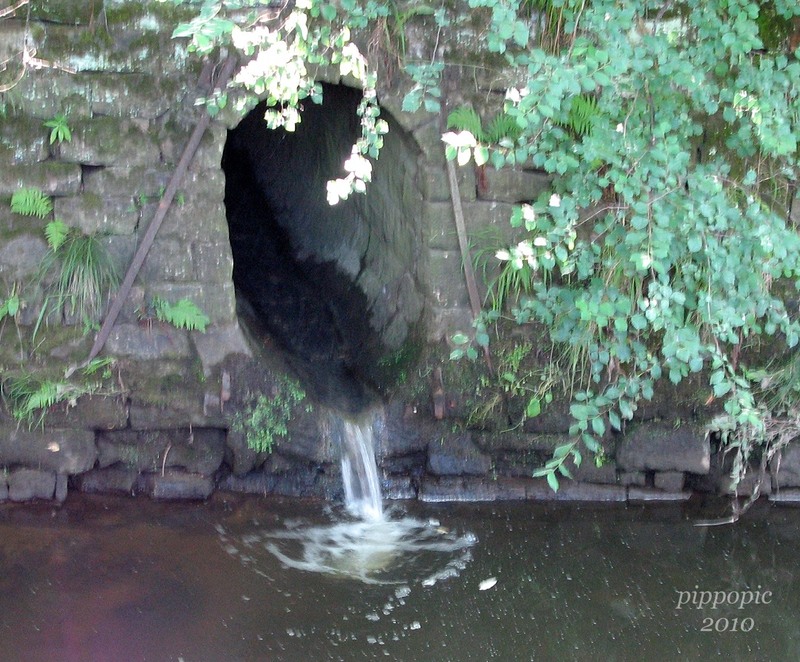 It is plausible that nowadays, the spring waters from that site are drained into the sewers, and don't reach a watercourse until after Blackburn Meadows Sewage Works at Meadowhall. There was a pond on Eastern Avenue right at the top where it joins City Road. It was located on the site of the Social Security building. There must have been an overflow for it. Now since water doesn't flow up hills it must have fed downwards crossing under City Road near Deep Pitt and met another stream coming out near Spring Lane. Both join up and then form Kirk Bridge Dike which flows via the Manor Fields heading towards the Parkway and on to Attercliffe. Back in Tudor times the private path to Intake from the Manor ran over this stream crossing. There are references to the "old ford" in the park and this was it's location. The ground around it was called the Planuch (various spellings of it) but it actually means "marsh". The hill at Manor Top or to give it it's two other names "Elm Tree" or "Hutterhill" seems to be the source of many springs of water coming off every side of the hill. It must be like a giant fountain deep underground. From a pond near the Social security building on Eastern Avenue, and following the lands natural contour, water would have flowed along the course of Edenhall Road (City Road is at a higher level), where it would eventually cross Cradock Road into Norfolk School fields, - interesting exactly in line with the previously proposed source. "Unidentified Bridge" - Have you pointed them in the right direction? Not that i would have recognised the location.